Manchester's original acid house pioneers, trailblazers for the entire UK acid house and techno scene return for a UK tour at end 2018 celebrating 808 States' legacy, their ongoing influence and continuing relevance to modern dance music. Still guided by an enduring spirit of experimentation and individuality, "808 State : 30" sees the band rework their classic output from their five major albums "Ninety", "Ex:El", "Gorgeous", "Don Solaris" and "Output Transmission" in an entirely new set which will also feature exclusive new material from the band's upcoming sixth album, "Transmission Suite". 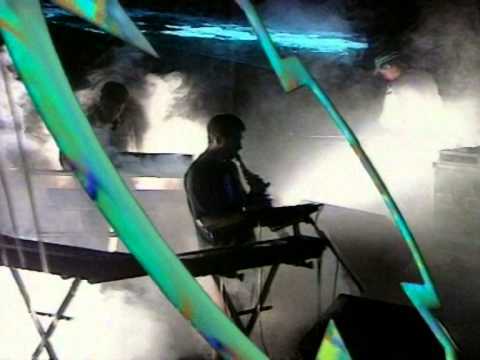 Vastly influential on the likes of Aphex Twin, Autechre, The Chemical Brothers and more besides, "808 State : 30" showcases the impact and originality of the group and how Manchester's acid house heroes have remained at the forefront of electronic music for some thirty years and counting.